Your local Pharmacy is a great place to stock up on all the above items and you can find your nearest one and view their opening hours at NHS Choices. Please remember to make sure your first aid kit is kept in a cool, dry place out of the reach of children. Has your first aid kit got everything you need for the Summer Holidays? The schools are out for summer which means the fun can begin! We may not be able to predict the weather for the holidays but we can prepare for any minor illnesses or injuries that may occur. Having a well-stocked first aid kit at home can help when you need to self care for minor ailments and injuries. We may not be able to predict the weather this Summer but we can prepare for any minor illnesses or injuries that may occur. Having a well-stocked first aid kit at home can help when you need to self care for minor ailments and injuries. Representatives from Partnerships and Communities at Cheshire East Council are hosting a short, free event to promote Self Care and the Live Well website to local organisations and residents. It will also be an opportunity for Cheshire East Council to listen to thoughts and views on any gaps in services which would enable individuals to live at home longer, and independently. This event is for anyone who works, lives or volunteers in Sandbach with an interest to promote Self Care and to hear about services and organisations in our community who can help you to live well. If you have any queries or questions, please contact Sam Wilkinson, Community Development Officer on (01270) 685803. The common cold, although frustrating, is a mild viral infection that usually clears up on its own within a week or two. In most cases there is no need to see your GP, however, your local Pharmacist may be able to advise on over-the-counter medications to help with your symptoms. 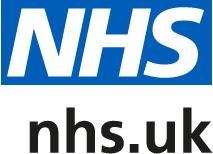 You can find more information about coughs and colds and information on your nearest pharmacy at NHS Choices.